One other reason you might not see your results on Smiths, even though you have tested YDNA at FamilyTreeDNA is if you are not a member of the Smiths-Smiths Official All project at FamilyTreeDNA. We are the master project for all Smith, Schmidt, Smyth, Smythe, Smidt, etc of ALL locations. The Smith admins, Marie, Deb, Ginny, David, and Eric, are only automatically sent results for those who are members. If you have had your Y-DNA done with FamilyTreeDNA and fall into the criteria for the Smiths project, follow these instructions. 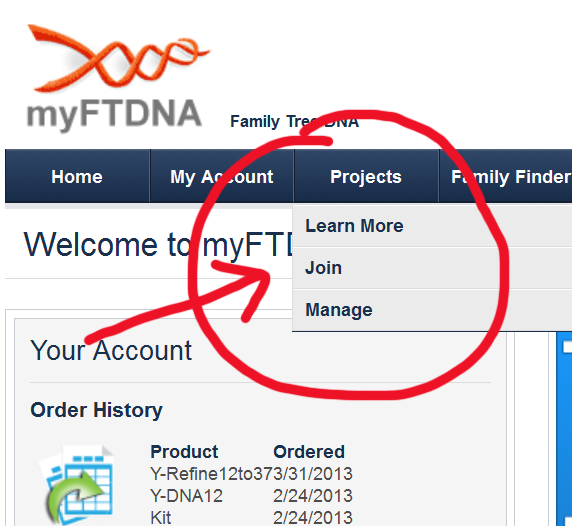 Go login to FTDNA using the credentials FTDNA gave you. You will then be on your myFTDNA page. Look at the top menu or on the side for PROJECTS/JOIN. 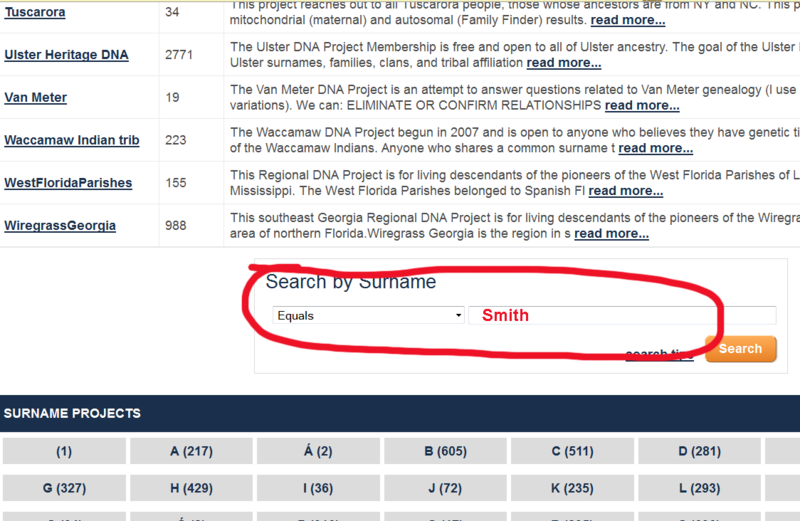 Now you need to JOIN PROJECT- either Search for Smith or browse through the list for Smiths- Official DNA Project for All Smith/Schmidt/Smyth et all in the list. (The search icon appears about midway down the page. The administrators will be sent an email letting us know you are now part, and we will be able to see your results and add them to the site.